Genuine quickpost tonight because, you know, Bake Off. One final chance to see Mary Berry gum her way through someone’s cake and me to wince whenever they say ‘baaaaake’. Nearly there, James. 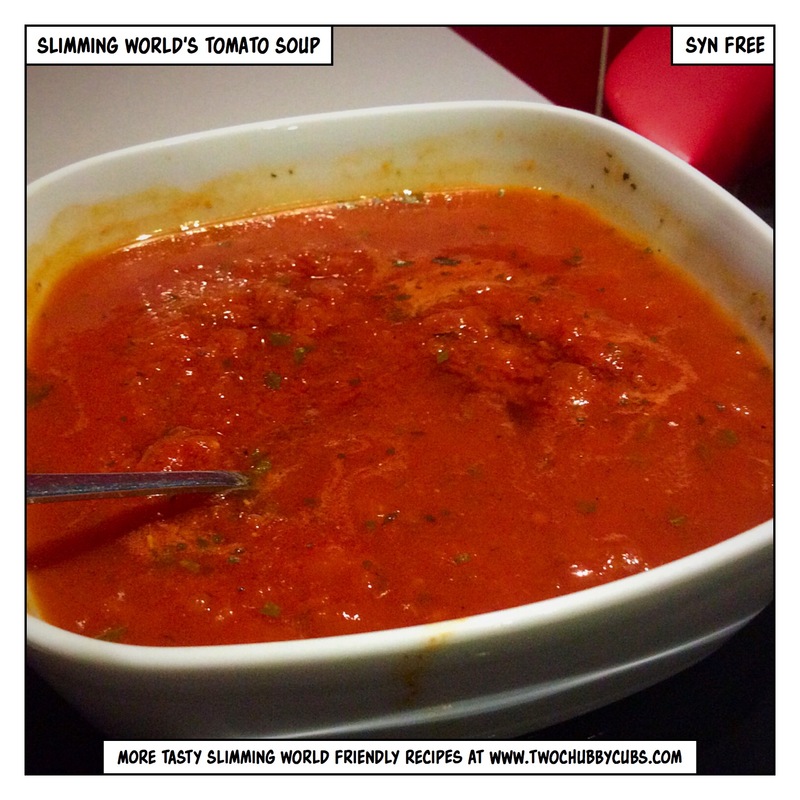 Before we get to the recipe, a quick word about Slimming World’s new soup, available to buy now at Iceland. I picked up the tomato and basil flavour. After ELEVEN minutes in a microwave, it came out like this. Mmm. Doesn’t that look about as inviting as a punch on the fanny? I genuinely don’t mind their food and I think the ready meals are a great idea if you’re a) pushed for time or b) insufferably lazy, but this was revolting. All I could taste was salt – it was if they’d used the Atlantic to bulk it out. I’ve never had to stop halfway through a bowl of soup for a bottle of Lucozade and a flask of water before. Plus, it looks so unappetising, all separated and pillar-box red. If anyone out there reading used to watch Bad Girls, well, it looked like what crazy Di Barker made in a bowl to stop Jim Fenner leaving her. Plus, £1.50! Aside from the fact it looks like something you’d see dripping out of a pipe in a field near Sellafield, that’s FAR too expensive for what should just be tomatoes, stock, basil, potato and a bit of onion. When I can be arsed, I’ll throw up a recipe on here for tomato and basil soup.